Columbia Pictures has just released a new trailer of its upcoming thriller “Premium Rush” starring Joseph Gordon-Levitt and Jamie Chung. You can check out the trailer after the break or at the official Sony Philippines' Youtube channel. Dodging speeding cars, crazed cabbies, open doors and eight million cranky pedestrians is all in a day’s work for Wilee (Joseph Gordon-Levitt). It takes a special breed to ride the fixie – super lightweight, single-gear bikes with no brakes - and luckily, Wilee is the best of New York's agile and aggressive bicycle messengers. But a guy who’s used to putting his life on the line is about to get more than even he is used to when his last envelope of the day, a routine “premium rush” run, turns into a life or death chase through the streets of Manhattan. 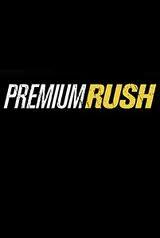 Opening across the Philippines in September 2012, “Premium Rush” is distributed by Columbia Pictures, local office of Sony Pictures Releasing International.